Former Australia vice-captain David Warner’s miserable return to cricket has continued when he faced only six balls for four runs as his Winnipeg Hawks team lost to Vancouver Knights by six wickets at the Global T20 Canada tournament. On Friday Warner lasted just two balls when he was dismissed for one run in his first game since his country’s ball-tampering scandal. Winnipeg was put into bat again on Sunday (Mondsay NZT) and made 156-9, with opener Warner the first man out, caught by Rassie van der Dussen off the bowling of Sheldon Cottrell (3-28). Tion Webster top-scored in the innings with 49 not out off 34 balls at the Maple Leaf North-West Ground. In reply, Vancouver reached 162-4 in 17.4 overs with Hong Kong batsman Babar Hayat smashing 65 off 33, including five sixes. Warner is serving a 12-month ban from Cricket Australia for his role in the ball-tampering incident during the third test against South Africa in Cape Town in March. 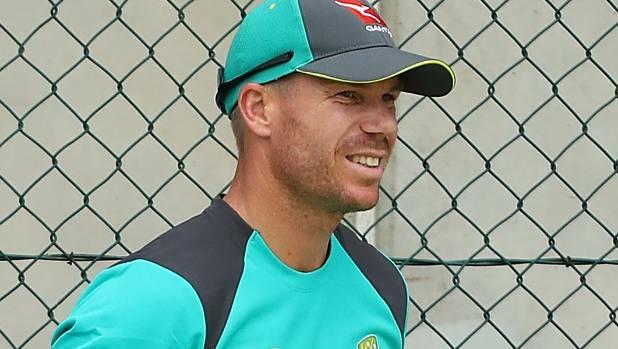 Warner and former Australia captain Steve Smith, who was also banned due to the scandal, are free to play in Canada, where Smith is also making his comeback. The six-team tournament, including a West Indies B side, is a partnership between Cricket Canada and the Mercuri Group, an India-based media and talent management company.